Here it is, we all knew somebody had to do an SUV. The hot paint isn’t really traditional for VIP, so I’ll say its more fitting to the stance segment. I dig it, its super low. 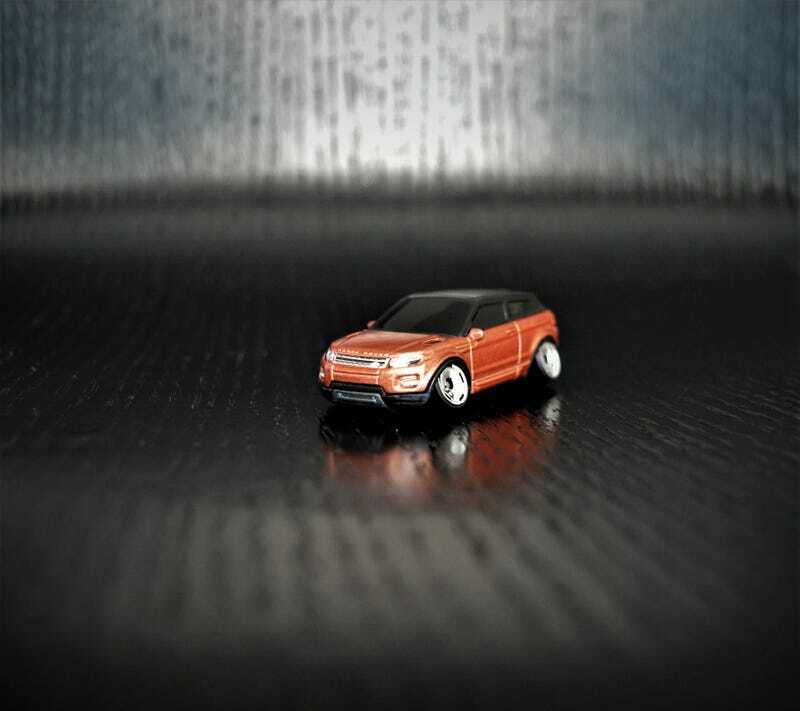 The Land Rover Evoque Coupe from Matchbox got the new 50th anniversary wheels from HW. I was saving these for another build, but they’re too perfect. I’ll be getting many more of these. Enjoy!